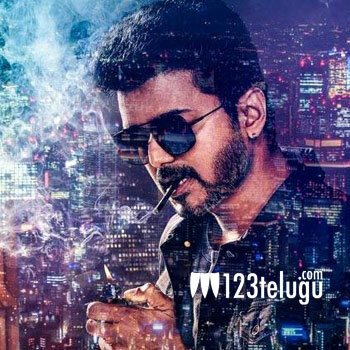 Tamil star Vijay’s most eagerly awaited political drama, Sarkar, is hitting the screens during the upcoming Diwali festive season. The film’s shoot is nearing completion. Currently, Vijay and the team of Sarkar are shooting a lavish song in Las Vegas, USA. In a rude shock to the team and fans, a short video clip and the screen grab of the Last Vegas song has been leaked online this morning and it has become a viral sensation. Vijay was wearing a colourful costume and his stylish look was also leaked in the footage. The film’s producers at Sun Pictures have begun evasive measures, now that the film will get into the post-production phase after the Las Vegas song. Keerthy Suresh is the leading lady in this high-budget entertainer. AR Murugadoss is the director. Sun Pictures banner is bankrolling the movie. The film is slated for release for the upcoming Diwali season.